Home » News » Arch Enemy joins Box of Doom! With great pride, we announce that Arch Enemy is now using Box of Doom Isolation Cabinets for their live sound. After a short test run, on the EU leg of the tour, Michael Amott and Jeff Loomis decided that this was the way to go. The BoDs improved FoH and in-ear signal drastically in such way that the demo units never got back to the BoD headquarters! 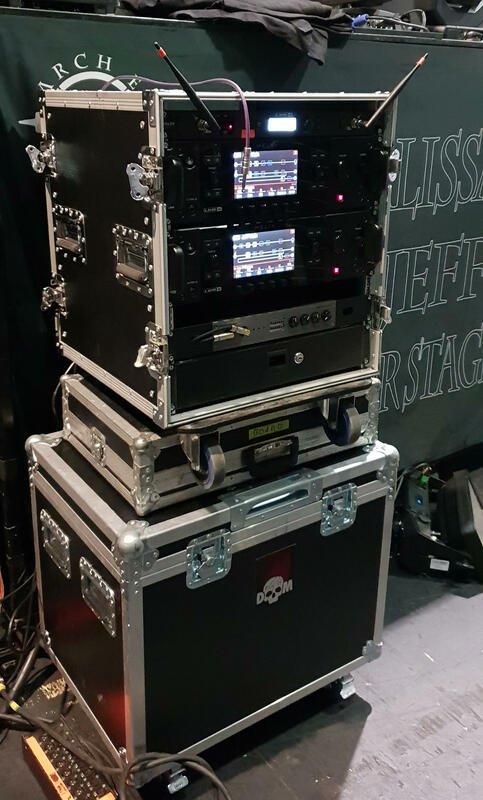 Jeff's Rig, a great combi of state of the art digital gear with power amp and iso cab.